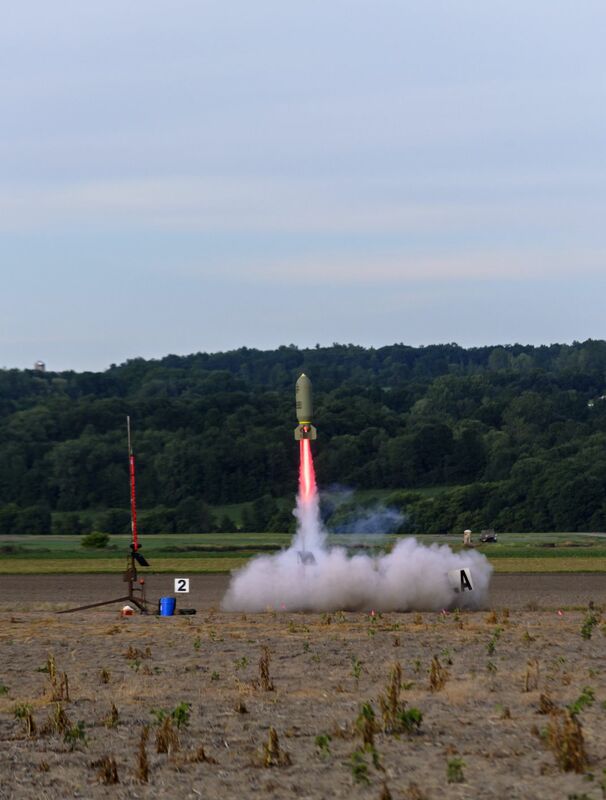 A high-powered rocket, built by John Glac and made to resemble a 500LB bomb takes flight. It ended up having a fully successful flight at LDRS in Potter, New York. Date Uploaded: Nov. 17, 2015, 2:50 p.m.